Sony is taking its PlayStation Vue service to Roku and Android devices. 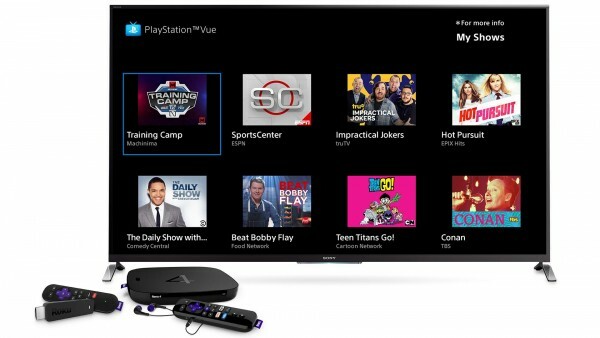 PlayStation Vue, Sony’s TV and movie service for cord cutters, has made its way to Roku. The service is now available on Roku’s streaming stick, as well as streaming players and Roku TV. You’ll still need a PlayStation Vue account, but you can get a seven-day free trial through the official website when you sign-up for one. In addition, Sony announced the service will be making its way to Android smartphones and tablets next week. Once Vue is released on Android, it will be available on almost all smart devices as well as a few internet TV boxes. Vue started off on PS3 and PS4. For Android users, you’ll need to have OS v4.4 and higher installed, and it does support Chromecast.